One of the ingredients that I rely on to exfoliate, brighten and refine my skin tone is Vitamin C; in fact, I call Vitamin C one of my skin's "power ingredients" because it has made and continues to make such a huge difference in my complexion! One way to deliver the power of Vitamin C to my skin is through a peel. I like to do home peels, they are easy, safe, convenient and they deliver real results. One peel that I have been using, lately is the Erno Laszlo White Marble Dual Phase Vitamin C Peel, $100.00 at Sephora. If you're not familiar with Erno Laszlo, he was the premier skin care guru in New York City, his practice was frequented by the who's who of society and entertainment, for decades. His products and methods have been a staple of many beauties and that legacy continues, today. The White Marble Dual Phase Vitamin C Peel is easy to use. First I cleanse my skin, of course. Then, pick up a generous dollop of the lightly citrus scented Step One scrub and work it into my skin for about three minutes then, add a dropper full of Step 2 Activator, work it well and let that all sit on my skin for a minute then rinse and voila! 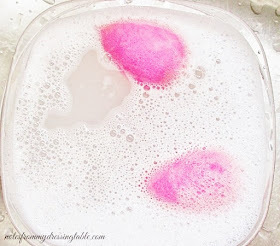 Silky smooth, glowing, fresh skin. Consistent use of Vitamin C in various forms has faded discolouration, brightened and evened out my skin tone and I think that it also helps to reduce the appearance of fine lines and wrinkles. A boon, to me at my age! I like this peel, it is easy and pleasant to use, it does what it says it will do and if you feel like splashing out, this peel is a lovely little splurge. That said, I have purchased the same kind of two step Vitamin C peel for a much lower price point that worked just as well. 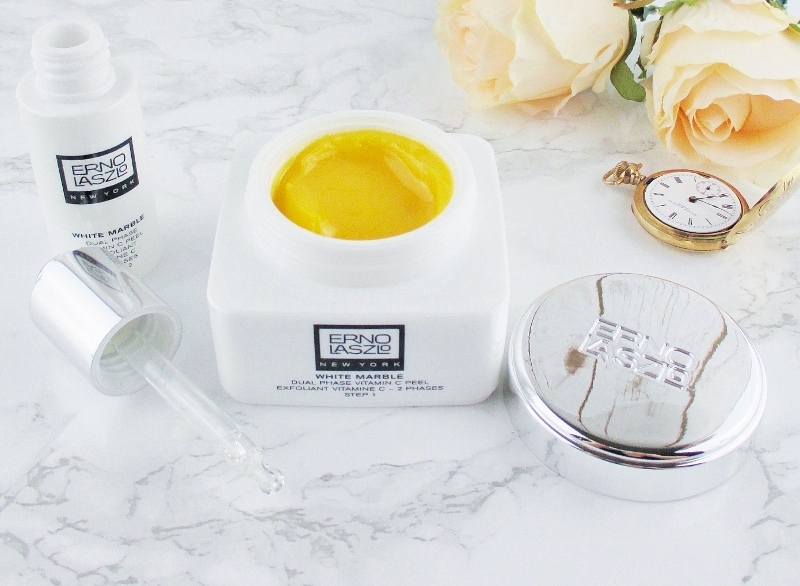 Bottom line, the Erno Laszlo White Marble Dual Phase Vitamin C Peel is an excellent treatment that delivers results but in my opinion, it is a bit too expensive for what it is and more affordable options work just as well. Have you tried this Vitamin C peel or one like it? What did you think of it? I haven't tried a Vitamin C peel, but I've tried serums with Vitamin C and I did feel like I got a glowing refreshed complexion. This product has quite the price point - not sure I'd be able to justify purchasing this. I saw this as my Sephora yesterday! For me, the price point is a bit pricey at the moment but it's great to know that it actually WORKS. I had spent a ridiculous amount in the past on things that weren't good for my skin type and it was sickening to my stomach to have to give them away! 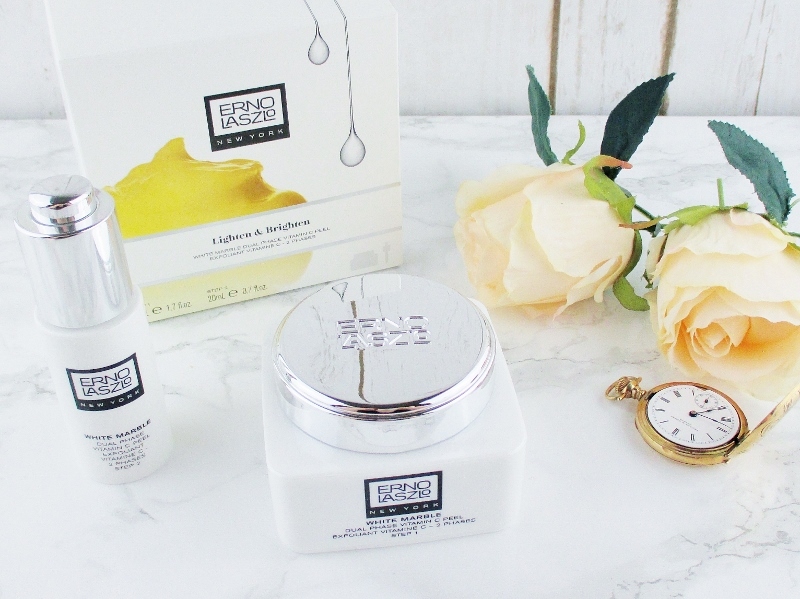 I used Erno Laszlo when I was a teenager and in my twenties– in fact it was the first luxury skincare line that I used. They have since reformulated, discontinued lots of products, and added lots of new ones. I haven't tried any of the new products, but this set sounds very effective! This is my first time hearing of this brand. 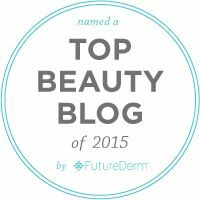 I have tried vitamin c peels in the past from Philosophy and the price point was much better. Though looking at the size they could be comprable. Thanks for your honest review. This really is way too much money, imo. I’m glad it works though! I need that Vitamin C peel!!! My SIL had skin problems in her teens and twenties and Erno Laszlo was the only line that really helped her. She used the whole system that was available back then. I don't have $100 to spend on this but I wouldn't mind using it if I did. When I was modeling my roommate had problem skin and used Erno Laszo products and they really helped her skin. 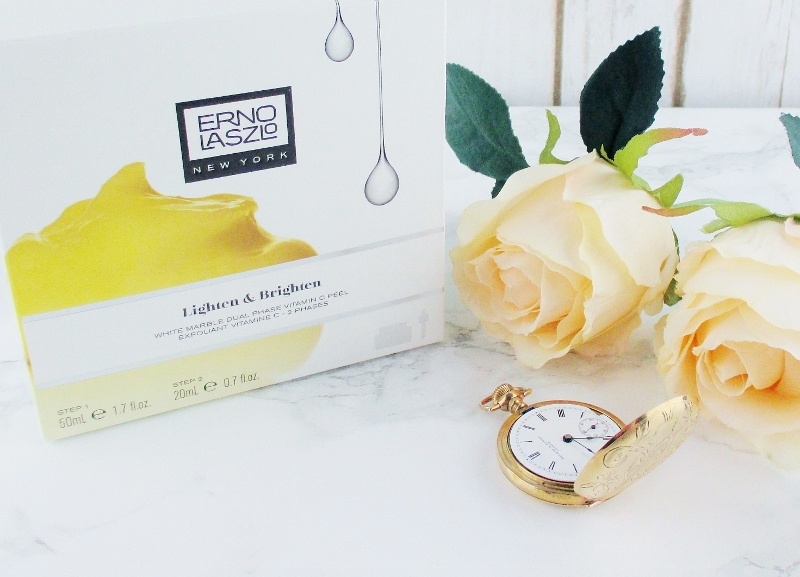 I haven't tried it but every Erno Laszo product I have tried has been very luxurious and lovely. This is sadly way out of my budget, but it does sound really nice! Yikes, the price!! Glad to hear it works. Vit C is a miracle ingredient in skincare!! Good to know it works but also great to know you think there are alternatives! I would love to try a Vitamin C peel, but I would prefer to find one with a more affordable price point. This one does sound lovely though! I haven't tried anything from this brand before but remember trying a Vitamin C peel before. I think I would opt for a more affordable price tag, but that's just me. I haven't tried a peel yet, but I've been seeing them everywhere and have been wondering about them. Thanks for sharing! This seems really interesting. I haven't tried a formal peel before, but I do love my BHA + AHA. I’ve never done a Vitamin C peel and now I’m curious! I'm interested in trying a peel like this! My skin always seems dull no matter what I do. I'm also interested in hearing which of the affordable alternatives you like.